Rough diamond. Source: United States Geological Survey. Public Domain. “Science fiction has dreamed of diamond planets for many years, so it’s amazing that we finally have evidence of its existence in the real universe,” said study leader Nikku Madhusudhan, a postdoctoral researcher at Yale University. via Diamond Planet Found—Part of a “Whole New Class?”. Scientists have named a “new” dinosaur after an old villain–Sauron, the evil-doer in the Lord of the Rings trilogy. Morocco, not Mordor was the setting for this discovery: a skull fragment that appeared to belong to an unknown theropod. Scientists named it Sauroniops pachytholus, in a reference to Tolkein’s character and the dome on its head. An account appears in the blog Dinosaur Tracking. Although Sauroniops pacytholus was a carnivore, there is no evidence to suggest that it possessed an all-seeing eye like its namesake. 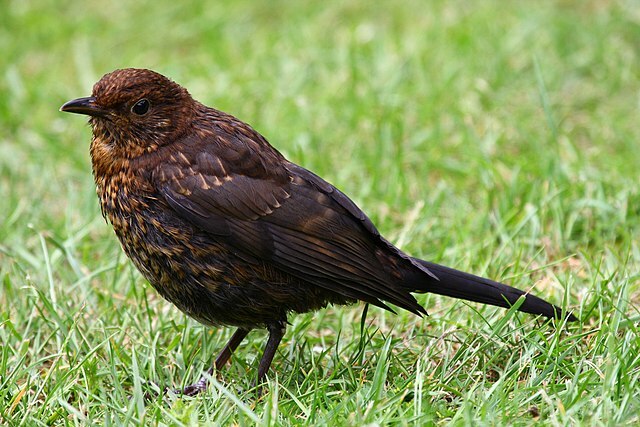 A juvenile Common Blackbird (Turdus merula). Photo by David Friel. Creative Commons. This entry was posted in Uncategorized and tagged blackbirds, diamond, dinosaur, drunk birds, fermented berries, Lord of the Rings, planet, research, Sauron, science, Spitzer Space Telescope by Susan Frith. Bookmark the permalink. 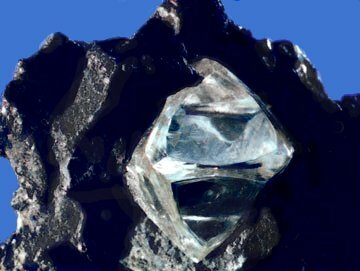 Oceans of liquid diamond, filled with solid diamond icebergs, could be floating on Neptune and Uranus, according to a recent article in the journal Nature Physics…. reported a couple of years ago at discovery news (though only speculation and no primary link appears to be given).. Perhaps that asteroid mining company might be interested – they’re a bit closer. Wow, that’s really interesting. Thanks for telling me about this!